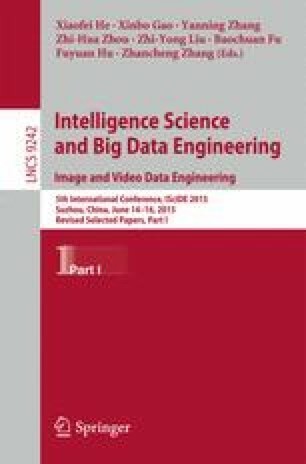 The most important issue of image classification algorithm based on feature extraction is how to efficiently encode features. Locality-constrained linear coding (LLC) has achieved the state of the art performance on several benchmarks, due to its underlying properties of better construction and local smooth sparsity. However, the negative code may make LLC more unstable. In this paper, a novel coding scheme is proposed by adding an extra non-negative constraint based on LLC. Generally, the new model can be solved by iterative optimization methods. Moreover, to reduce the encoding time, an approximated method called NNLLC is proposed, more importantly, its computational complexity is similar to LLC. On several widely used image datasets, compared with LLC, the experimental results demonstrate that NNLLC not only can improve the classification accuracy by about 1–4 percent, but also can run as fast as LLC. This work was supported by the Fundamental Research Funds for the Central Universities (Grant No. HIT.NSRIF.2014069), Heilongjiang Province Science Foundation for Youths (Grant No. QC2014C071), National Natural Science Foundation of China (Grant No. 61173087, 61171185, 61271346), and Specialized Research Fund for the Doctoral Program of Higher Education of China (Grant No. 20112302110040).